PUBG Mobile is Finally Available in All Countries, Download Now! Good news everyone! PUBG Mobile is finally available in all countries. After the successful beta release in China and an English version in Canada, Tencent finally made a decision to release the game to the other countries. You can now download and play the game straight from Google Playstore for Android and Apple Store for iOS. To create an account in PUBG, you may use Guest or your Facebook account to login in the game. We recommend using FB account to login in the game, so you can save your progress and points. After that, you proceed on creating your character by selecting your preferred gender and face in the game. The game is available in Solo, Duo or Squad; In Solo, you can play the game by yourself. In Duo, you may invite your friend to join duo fight or randomly pooled with other player. In Squad, you may invite up to 3 friends to join your Squad or randomly pooled as well. The main objective of the game is to get the Chicken Dinner – this is by being the last stand squad/person in the match. Are you ready to get some chicken dinner? Download the official PUBG Mobile now! Good news everyone! PUBG Mobile is finally available in all countries. After the successful beta release in China and an English version in Canada, Tencent finally made a decision to release the game to the other countries. You can now download and play the game straight from Google Playstore for Android and Apple Store for iOS. To create an account in PUBG, you may use Guest or your Facebook account to login in the game. We recommend using FB account to login in the game, so you can save your progress and points. After that, you proceed on creating your character by selecting your preferred gender and face in the game. The game is available in Solo, Duo or Squad; In Solo, you can play the game by yourself. In Duo, you may invite your friend to join duo fight or randomly pooled with other player. In Squad, you may invite up to 3 friends to join your Squad or randomly pooled as well. The main objective of the game is to get the Chicken Dinner - this is by being the last stand squad/person in the match. Are you ready to get some chicken dinner? 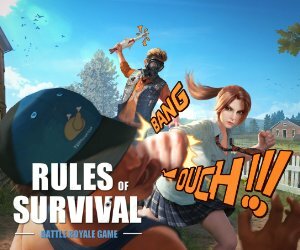 Download the official PUBG Mobile now!